This inspired me to get creative on my own. To me that is the hallmark of a great cookbook; when it inspires you to close it and then create dishes on your own. So I made a Thai style red curry paste from scratch. 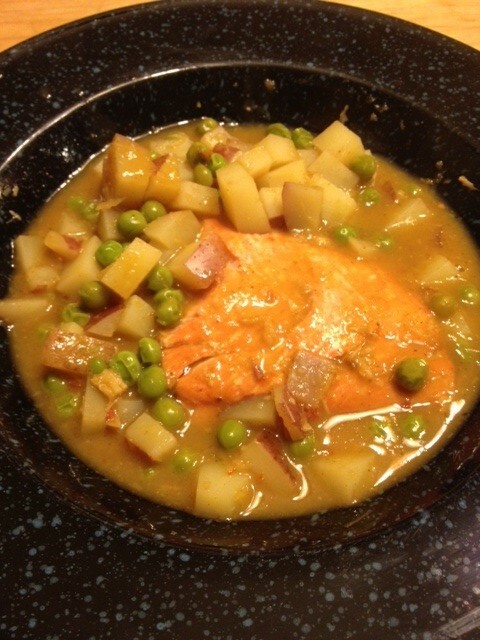 All the ones you buy pre-made have garlic in them, but we love red curry so I got creative and we used it to make salmon, potatoes and peas in a red curry with coconut milk. Delicious. And just yesterday for lunch I made a “creamy” white sauce with shallots, scallops, and fresh parsley and tossed it with some gluten-free porcini mushroom pasta that my sister sent s for christmas. Also delicious!